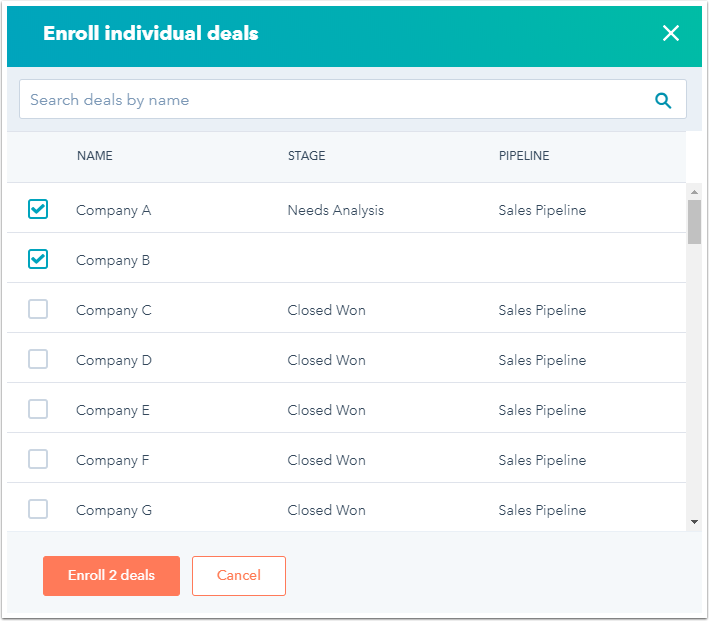 While objects are most commonly enrolled in workflows based on the enrollment triggers, you can also manually enroll objects into workflows. Click the name of the contact-based workflow. In the upper right, click enroll Enroll. Click Enroll from a list to enroll a list of contacts. Click the dropdown menu and select the list to enroll. 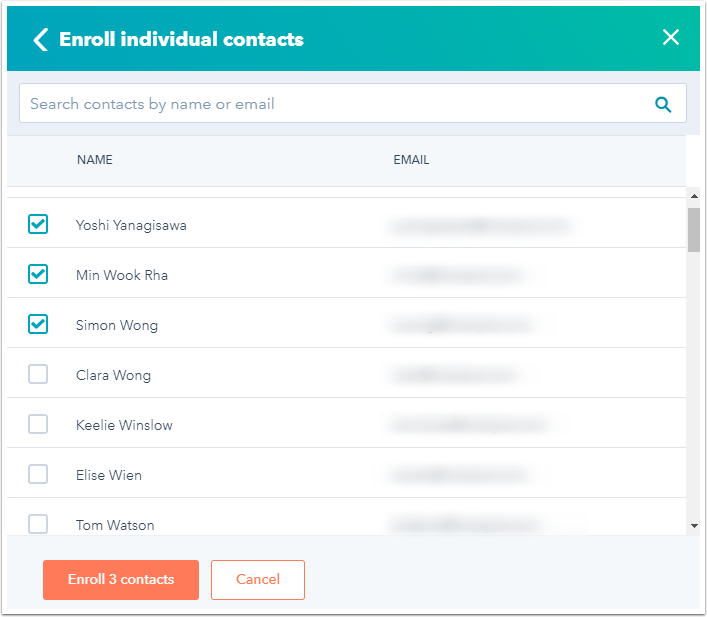 Click Choose contacts to enroll multiple contacts. Select the checkbox next to each contact to be enrolled. Enter the contact's name in the Search contacts by name or email search field to find the contact more easily. Click Enroll x contacts to enroll the contacts in the workflow. In the dialog box, select the checkbox next to each object to enroll. Enter the object's name in the Search [object] by name search field to find the object more easily. Click Enroll x [object] to enroll the objects in the workflow. Click the name of the contact to enroll. In the right panel, Workflow memberships section, click Manage workflow memberships. In the upper right, click Enroll in workflow. In the dialog box, click the dropdown menu and select the workflow. To choose specific contacts, select the checkbox next to each contact to enroll. To select all contacts on the current page of the list, select the checkbox in the table header. 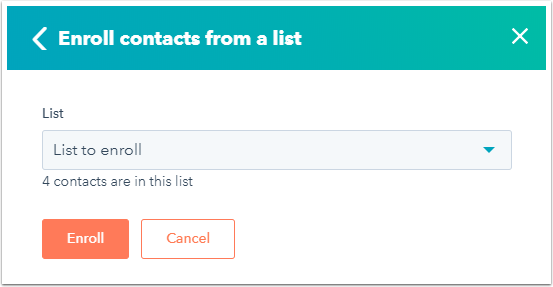 To select all contacts in the list, select the checkbox in the table header, then click Select all x contacts at the top of the table. Click the More dropdown menu and select Enroll in workflow. In the dialog box, click the dropdown menu and select the workflow to enroll these contacts in.